Habit: Evolvulus squamosus grows as a perennial shrub that is covered with sparse pubescence. The sessile, lanceolate, leaves are arranged alternately and to 3 mm in length with an acute leaf apex. The sessile, actinomorphic flowers are solitary. The calyx has 5 unfused oblong sepals. 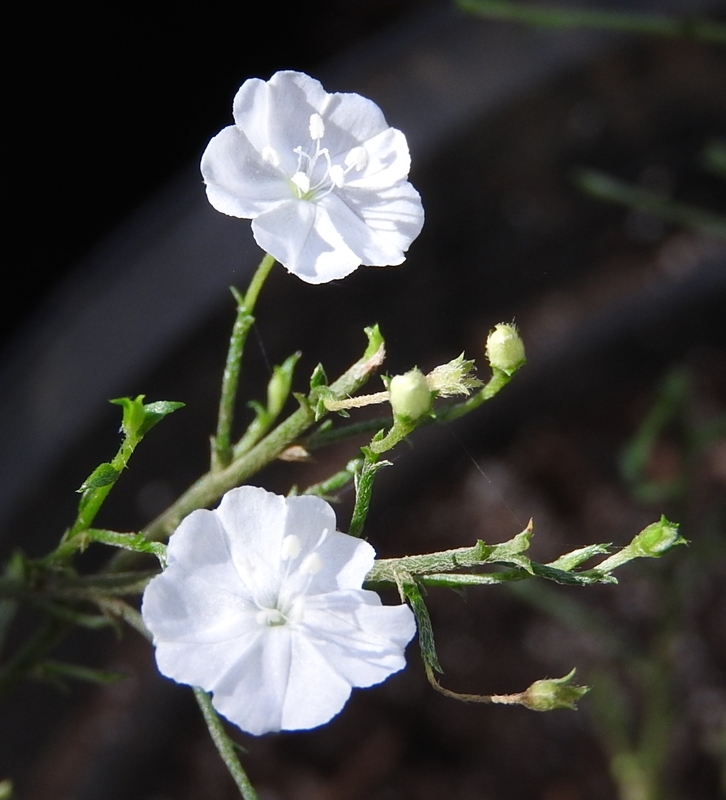 The corolla has 5 fused, salverform, petals that are white to 0.5 cm in length. There are 5 unfused stamens. The ovary is superior with 2 locules and numerous seeds. The fruit is a capsule at maturity. Habitat: Evolvulus squamosus grows exposed limestone Dry Broadleaf Evergreen Formation – Shrublands. Distribution in Bahamas/Globally: Evolvulus squamosus occurs on all island groupings in the Bahamian Archipelago as well as the Cayman and Virgin Islands. 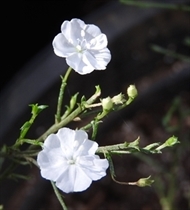 Medicinal/Cultural/Economic usage Evolvulus squamosus is used medicinally in the Bahamas to treat colds and flu and circulatory problems (Jaundice).